The Zwilling Four Star II 4 piece steak knife set makes a great gift. These contemporary-looking and German-made steak knives will be treasured. 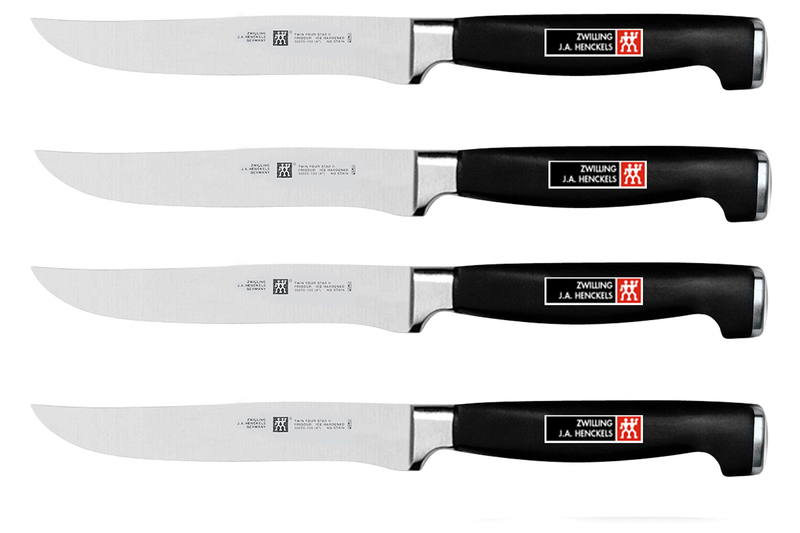 Used by professional and home chefs everywhere, the Henckels brand signifies quality and value. Zwilling is recognized world-wide for fine quality kitchen cutlery. Each of these knives is backed by a lifetime guarantee, so you can confidently select them as a wedding or new home gift.